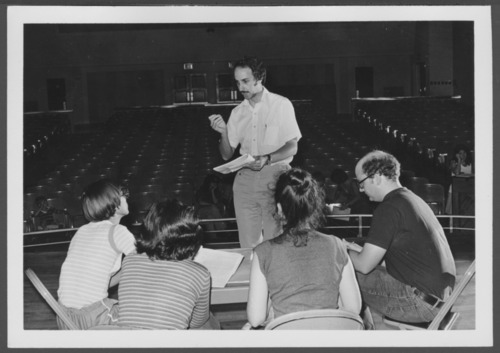 Glen Gabbard, M.D., is shown directing the Freudian Follies of 1976. The annual Freudian Follies was written, produced, directed and starred the psychiatry and psychology residents. It spoofed the entire psychodynamic culture in general, but especially the Menninger Clinic and staff.